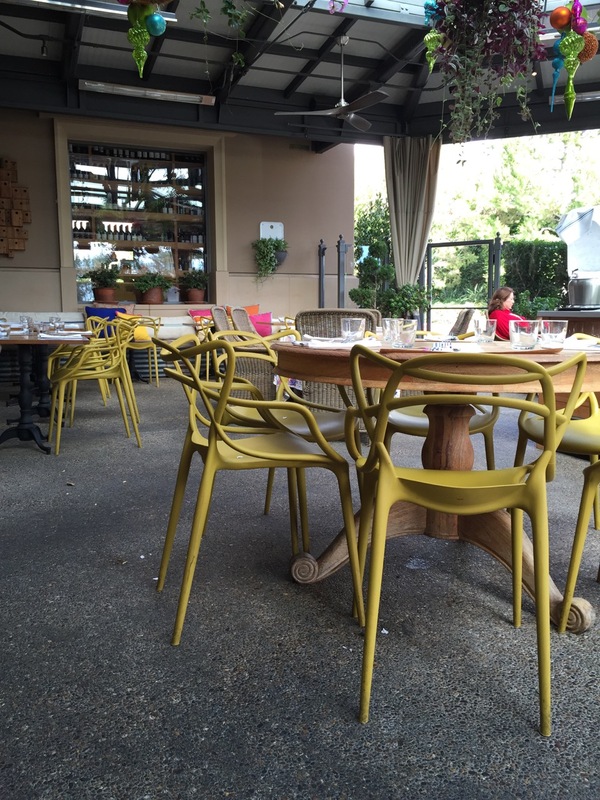 I have enjoyed dining at the new Cucina Enoteca many times since they first opened. Whenever I am in the Newport Beach area for lunch, and it is a beautiful day, it is my favorite place to dine. It isn’t just the food that I love at Cucina Enoteca, but also the ambiance. The restaurant has the most beautiful decor with colorful chic accents through the restaurant. 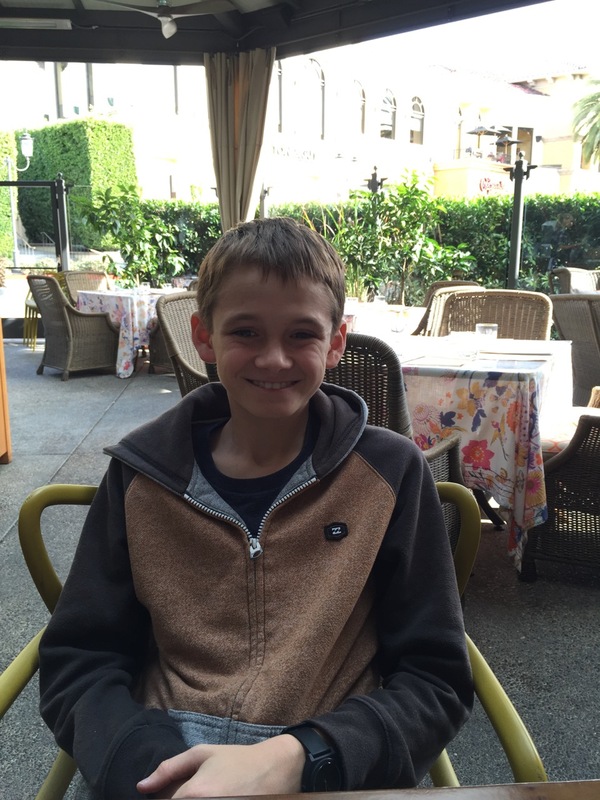 Last week, my son had an afternoon doctor’s appointment, and I treated him to lunch at Cucina Enoteca before going back to school. The outdoor patio is the number one place to dine at this restaurant, and he was comfortable and relaxed in the outdoor dining setting. 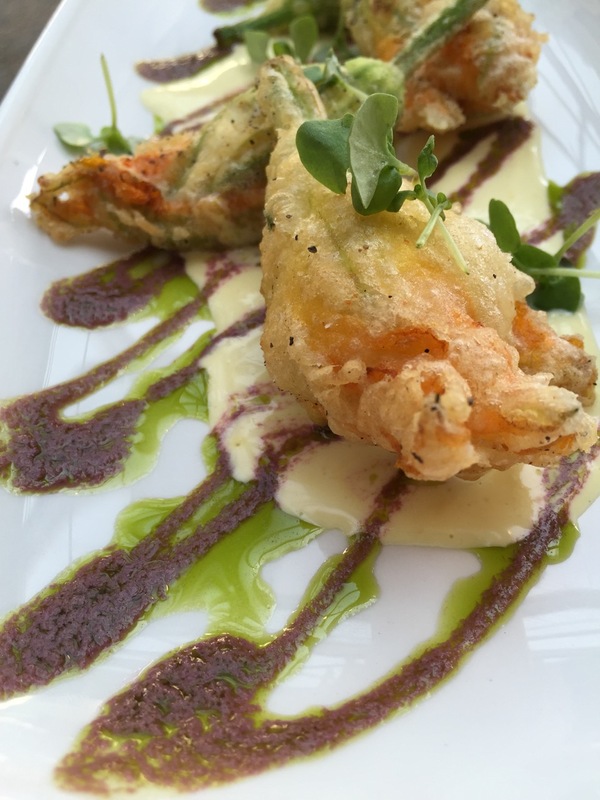 The one thing about Cucina Enoteca is that once you find your favorite things on the menu, you’ll find yourself ordering it over and over again. That is true for me and my two favorite menu items; the burrata and the squash blossoms. I’ll often make a meal out of these two dishes, but since I was dining with my son, we also ordered another dish to share. 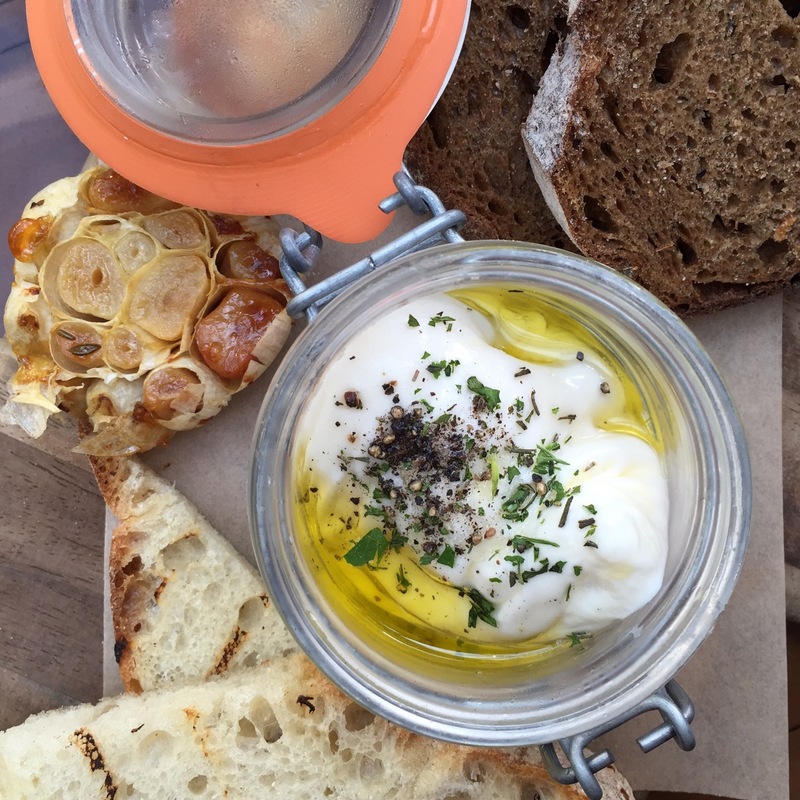 The burrata comes seasoned and in a mason jar with a little olive oil drizzled on top. It is pure heaven in a jar and comes on a wood plank with fresh bread and roasted garlic. You can’t miss trying this when dining at Cucina Enoteca. Then there are the squash blossoms. 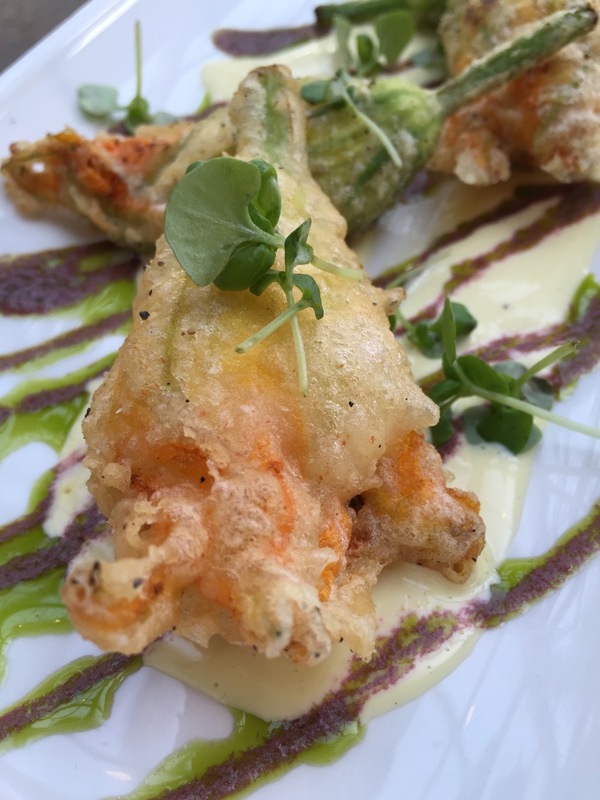 The plate comes beautifully presented with fried squash blossoms that are filled with herb ricotta. They are then topped with an opal basil pesto and lemon aioli. They are to die for! 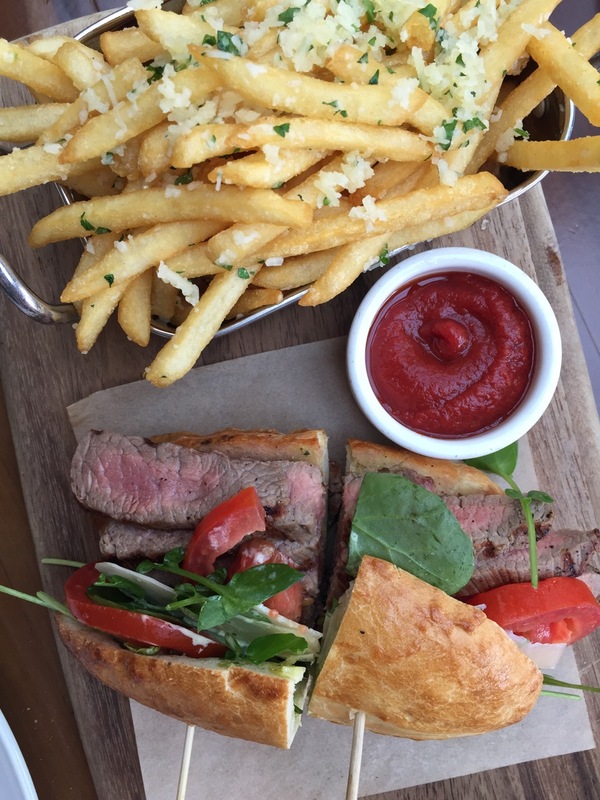 We were so full from all the cheesy goodness that we barely had room to share the rib eye steak sandwich. 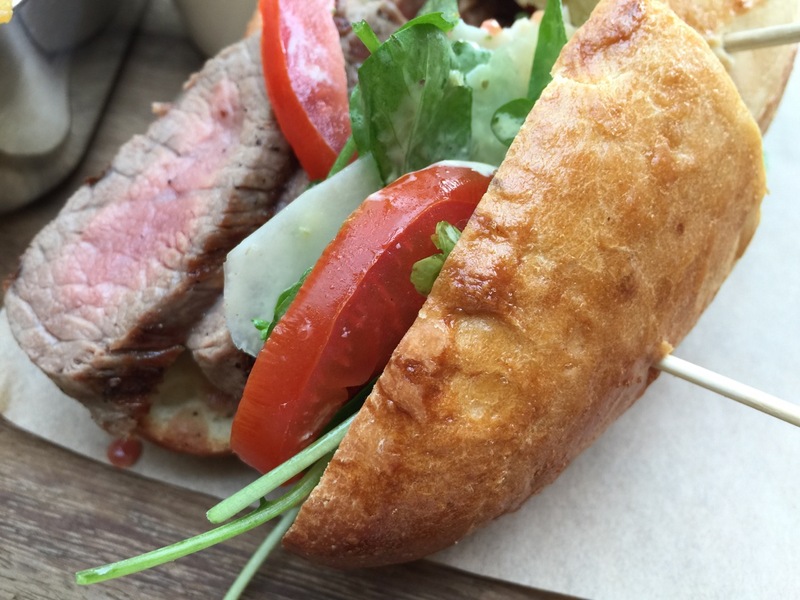 The sandwich is large, and plenty of food for two people to share. 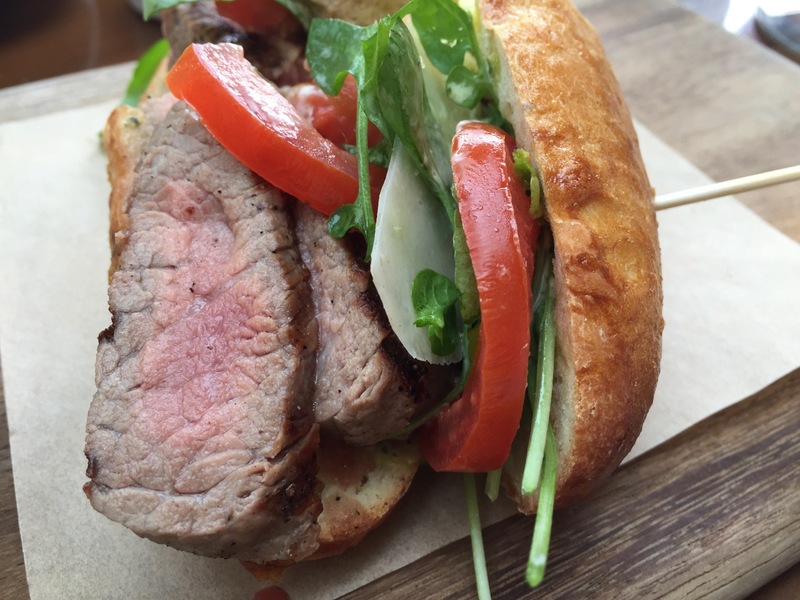 Inside of the hoagie roll are watercress, tomato, red onion, pecorino, rib eye, and a salsa verde aioli. 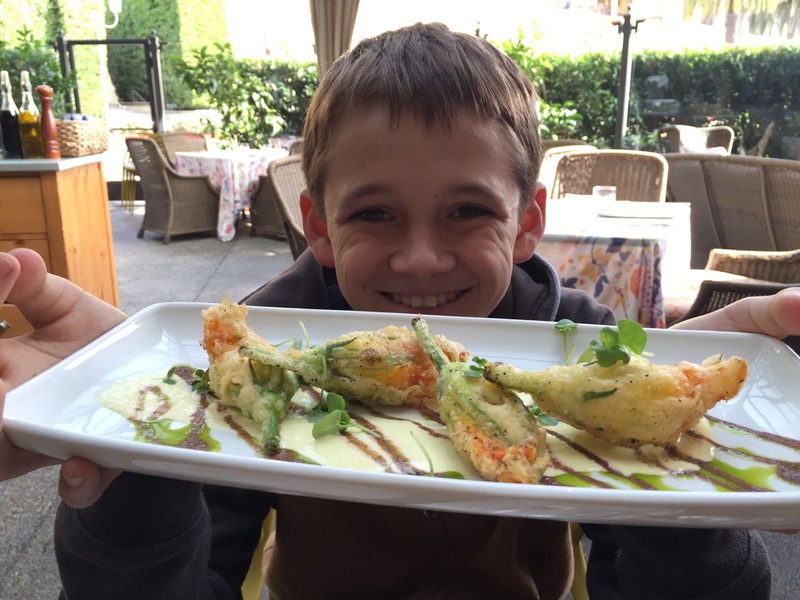 If you’re looking for somewhere new that is family-friendly with upscale food (that your kids will eat), then Cucina Enoteca is the perfect place. Make plans to bring one of your kids for lunch on a beautiful sunny afternoon, and enjoy spending time together on their outdoor patio. Cucina Enoteca is located at Fashion Island.